Kansas City Scouting Museum | A virtual collection of items and ephemera related to the Scout movement in the Kansas City area. 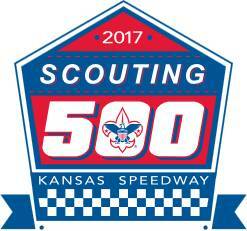 A virtual collection of items and ephemera related to the Scout movement in the Kansas City area. If you haven’t heard, Tamegonit Lodge is hosting the 2019 Order of the Arrow Section C-5B Conclave at Theodore Naish Scout Reservation this spring. Billed as the Tornado Alley Rally, the Section Conclave will bring together Order of the Arrow members from Iowa, Missouri, Kansas on April 12-14, 2019. This isn’t the first time Tamegonit Lodge has hosted such an event, though. Pictured below are the patches from the 1956, 1961, 1978, 1985, and 1991 events hosted by Tamegonit Lodge. Wait, what’s that 8D, 3-C, NC-3 stuff about? The section designations have changed several times over the years. For a great summary of Tamegonit’s Section affiliation check out oasections.com. 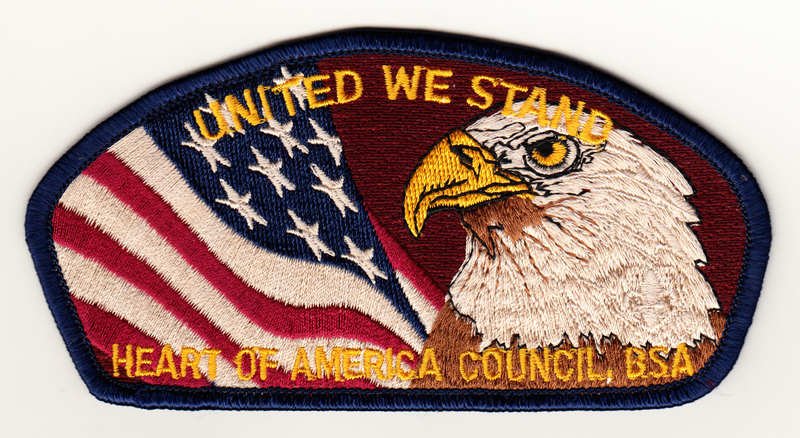 Posted by ubplpv on February 19, 2019 Comments Off on Heart of American Council? Have you ever hiked the Rim Rock Trail at Camp Naish? If you didn’t know, it is named for the numerous limestone outcroppings, known as “rimrocks”, found along the trail as described in the 1994 Rimrock Trail Guidebook. Maybe after completing the hike you stopped in to the trading post for a Choco Taco and picked up a medal and a patch to commemorate your hike. In the early 1980s, the medal had an arrowhead shaped pendant which was later replaced by the circular pendant. Examples are shown below. You probably tossed the medal in a drawer, or it is pinned to your shirt in the closet. Dig it out! You might not have noticed, but there are some medals mistakenly manufactured with “Heart of American Council”. Whoops! Have one of these misprints? Share a picture of it! Pie-shaped issues are intended to be sewn to a neckerchief, much like the arrowhead issues from the Lodge. The lodge-approved directions for assembling a neckerchief are included from the 1970s. The pie-shaped issues are most frequently found off of a neckerchief. This could be due to the effort and skill set required to assemble a neckerchief. However, there were certainly several kind mothers who did accomplish this feat, resulting in a wide range of materials, ribbon color and texture variation. Given the variety of materials and construction techniques, the assembled neckerchief can resemble a piece of folk art and is a truly unique addition to a collection. The traditional style is shown above. But what about these? Click here to download a flyer with all the details! Posted by ubplpv on July 4, 2014 Comments Off on Happy 4th of July! Wishing everyone a safe and happy 4th of July from the Kansas City Scouting Museum!